Looking out through December 2013, expect that the economy will grow at less than 2%. In fact, GDP may not go above 2% for the next decade. Though the economy added 195,000 jobs, many are part time workers, while unemployment is still at 7.6%. For the first time in the history of the US, there are 4 generations (Baby boomers, Gen X and Y, Millennial) in the workforce, and many people have either been unemployed and under-employed since 2008. We need to see 250,000 jobs added per month for 10 months to really start seeing improvements in unemployment. On the bright side, companies have proven that they can do more with less. Technology continues to drive productivity, but at the same, the advances have a destructive force – technology is making us more efficient and cutting the need for workers. We no longer need to hire 5000 employees to make X; we need only 50 employees to make X2. In major European markets like France, UK, Germany and Spain, youth unemployment is a disturbing trend, foreshadowing the potential to lose an entire generation of youth work experience. As we’ve seen in the Middle East, disenfranchised youth is a HUGE problem. Even here in the US, many young people are not major consumers. How can they be when they’re under-employed, living with their parents until their 30s, and not buying their own homes? In past generations, youth coming out of college had lots of flexibility to find a career path. Now though, our country’s young people have a collective 1 trillion dollars in debt. Physician’s Assistant positions used to make $300,000; those titles now start making only $75,000, and even more crippling debt is needed to qualify for the job! It’s tough to go out and get an apartment when you can’t even afford your loan payments. The fundamental problem is a negative cycle for youth: no work experience à no income à lack of consumers à lack of jobs à cycling back to no work experience. They are struggling today and will need to innovate their way out of the problem. In addition, today’s economy is fractured, with no one engine driving our economy forward. The few growth areas we’re seeing in the modern economy include: Technology (smartphones, tablets), Healthcare, Energy (energy exploration, western NYS, PA, Oklahoma and Texas) and Banking. The reality of the situation is that the economy is not going to magically fix itself and lift your business into prosperity. As a business owner, you are responsible for creating the future of your company. We have always reinvented ourselves here in the US – our ingenuity and flexibility allow us to discover and create new opportunities. Likewise, your business must continue to evolve and change to survive. New product development is absolutely essential. For example, in Healthcare, entrepreneurs are responding to the market and the black holes of Medical legislation. Under Medicare regulations, hospitals are penalized if patients are re-admitted within 60 days – as a result, hospitals and insurance companies are beginning to subsidize the emerging service of medical concierge. Similarly, construction companies are starting divisions to retrofit homes to be more accessible to those with disabilities, and catering companies are offering affordable meals on wheels. Can your business gain from the growth in healthcare? On the positive side, there is so much information easily available in the age of data. Never in the history of mankind have we had this much knowledge at our fingertips, and it continues to grow every day. “I don’t know,” is no longer a tolerable answer from your team. Every company has the opportunity to be well informed, capture data, and use it. Data is king, data is key! What seems to keep us moving is the ability to re-invent the economy with an entrepreneurial spirit. Even in a struggling economy, still anyone in this country can be inspired, start their own business tomorrow, and change the world. Businesses must re-invent themselves to grow. Is your business doing all it can to innovate and thrive? John Mulvey, SeniorVice President, Wells Fargo BankFinancial Signs of the Times & Commercial Lending OutlookJohn Mulvey, currently Group Team Leader at Wells Fargo’s commercial banking office in White Plains, manages a team of bankers covering industries including manufacturing, industrial, chemicals, apparel, technology, distribution and construction. Mr. Mulvey is a 30-year veteran of commercial banking who has spent the majority of his career working for major money center banks headquartered in New York City. He has provided financing solutions both to family owned middle market companies and to small- and mid- corporate public companies. He has structured and negotiated both single bank and multi-bank syndicated credit facilities and has extensive experience in lending to the apparel industry. Financings that he has worked on range from revolving credit facilities and term loans to real estate loans and ESOP financings. Larry Gottlieb, President, Hudson Valley Economic Development CorporationSmart Financial Management for the New EconomyLarry Gottlieb was named Hudson Valley Economic Development Corporation’s new President and CEO in February of 2013. With over 20 years of experience as a top management executive in several major corporations, public affairs agencies and a global non-profit organization, Larry leads HVEDC in marketing seven counties in the Hudson Valley as prime business locations to corporate executives, site selection consultants and real estate brokers. Larry has also served as a senior counselor to CEOs on a broad range of subject areas, including media and government relations, crisis communications, marketing, sustainability, and social media, and joined HVEDC after successfully running the Westchester County Office of Economic Development. 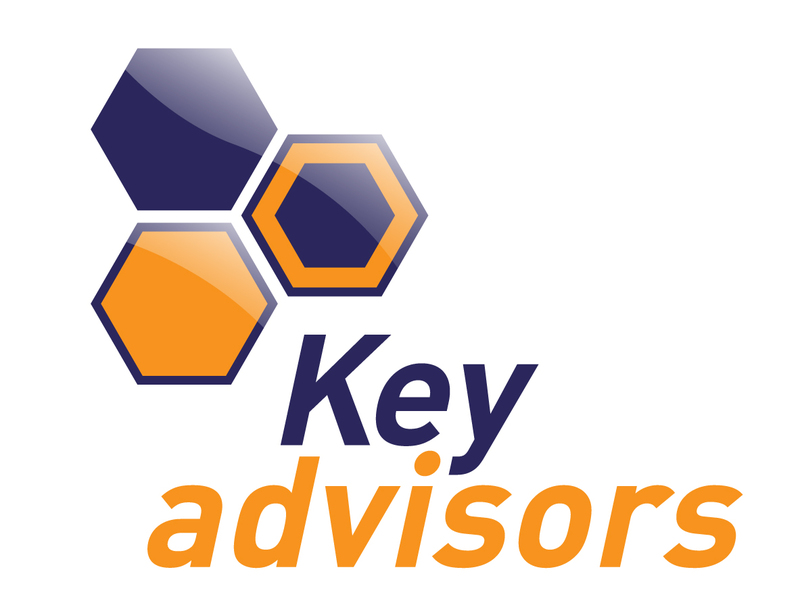 Key Advisors CEO Peer Advisory Board brings together business owners who share common business challenges and the desire to deepen their business knowledge and expertise. More info.